100 cat bags-flat packed w/handles. 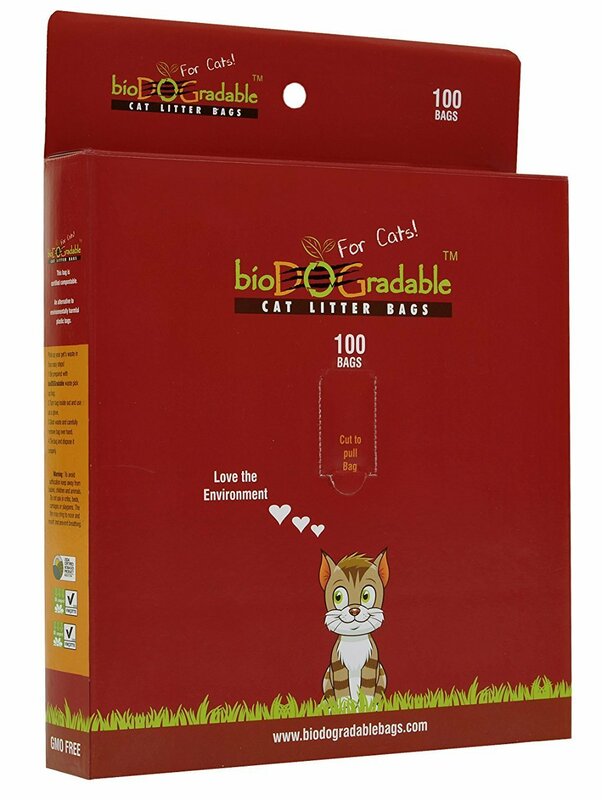 The first of its kind, these bioDOGradable cat litter bags have handles with a large opening so all you have to do is scoop the poop and easily put it in the bag. These bags are perfect alternative to plastic bags! This pack contains 100 unscented, USDA biobased, TUV and EN 13432 certified home and industrial compostable pet waste bags. With the weight capacity of up to 10 pounds, you don’t have to worry about the bag tearing! These certified compostable bags are also perfect for dog parents who want poop bags with handles!